Limited to 300 silver double vinyls in a gatefold sleeve. Without a doubt, UK legends CARCASS have released several classic albums over the years and changed the trajectory of extreme metal with each consecutive release. Whether it was inventing gore-grind (i.e. Reek of Putrefaction ) or creating the template for melodic death metal (i.e. Heartwork), CARCASS has always made records by which bars were set and rules were broken. Upon their untimely demise in 1996, fans mourned the loss of the seminal act and longed that the group would one day be exhumed from their premature grave. After an 18 year hiatus, CARCASS were fully reanimated and, it&apos;s safe to say, they haven&apos;t missed a pathological step. 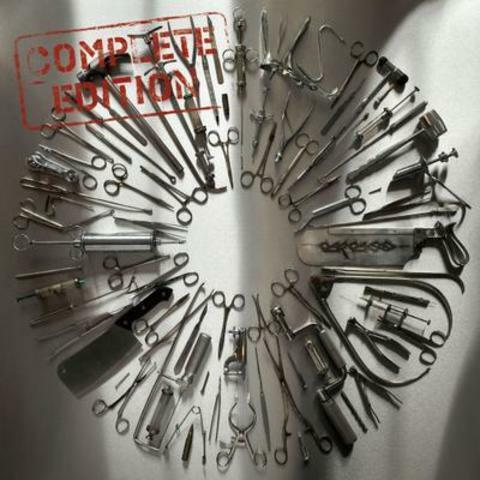 With 2013&apos;s Surgical Steel, CARCASS rose to the occasion and gave fans an album that holds up to their classic repertoire, delivering another milestone in their highly influential career. In an era seemingly content to endlessly chug away at their e-strings in various rhythmic denominations, CARCASS has brought the power of the riff back to a generation. The band also hit the live circuit with refreshed energy. Crushing performances on a Metal Hammer package with Amon Amarth and Hell, were followed this year by winning over rabid crowds at Sonisphere and Bloodstock Festivals. This package wraps up all the material from the &apos;Surgical Steel&apos; sessions to co-incide with the band&apos;s headline appearance on the UK &apos;Deathcrusher&apos; tour. &apos;A Wraith In the Apparatus&apos; appeared as a bonus track on the Japanese edition of Surgical Steel; &apos;Intensive Battery Brooding&apos; was the B-side on a 7? vinyl single for &apos;Captive Bolt Pistol&apos; and also appeared as a Japanese bonus track on Surgical Steel; &apos;Zochrot&apos; appeared as a Flexi-disc in the October 2013 issue of Decibel magazine.&apos;Livestock Marketplace&apos; was recorded during the Surgical Steel sessions but never released; and &apos;1985 (Reprise)&apos; re-works Surgical Steel&apos;s opening track.